An inspiring new rhetoric that takes some of the best ideas animating the field of composition and makes them teachable. 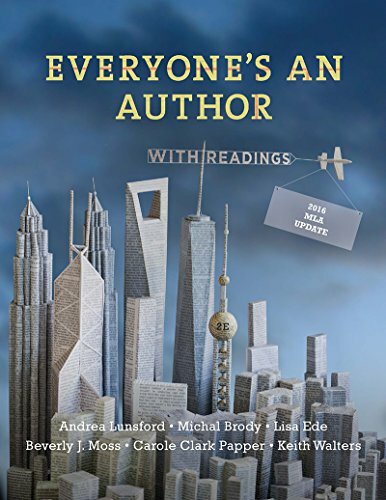 Everyone’s an Author focuses on writing as it really is today―with words, images, and sounds, in print and online―and encourages students to see the connections between their everyday writing and academic writing. It covers the genres college students need to learn to write―and teaches them to do so across media. It bridges the gap between Facebook and academic writing, showing how the strategies students use instinctively in social media can inform their academic writing. And it provides a strong rhetorical framework that guides students in the decisions they need to make as authors today. The version with readings includes an anthology of 35 readings. 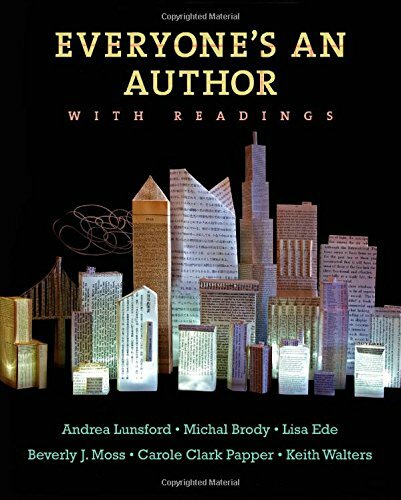 Andrea Lunsford is Emerita Professor of English at Stanford University and is on the faculty at the Bread Loaf School of English. Her scholarly interests include contemporary rhetorical theory, women and the history of rhetoric, collaboration, style, and technologies of writing. She’s received the Braddock and Shaughnessy Awards, and in 1994 she received the CCCC Exemplar Award. She is currently at work on The Norton Anthology of Rhetoric and Writing. Lisa Ede is Emerita Professor of English at Oregon State University, where she directed the Center for Writing and Learning and taught courses in composition, rhetoric, and literacy studies. She’s received the Braddock and Shaughnessy Awards for her research on audience and classical rhetoric. 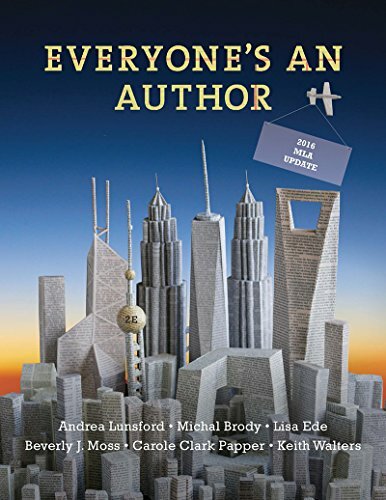 Her recent books include Situating Composition: Composition Studies and the Politics of Location and (with Andrea Lunsford) Writing Together: Essays on Collaboration in Theory and Practice. Beverly Moss is Associate Professor of English at The Ohio State University, where she teaches in the Rhetoric, Composition, and Literacy program, and is on the faculty at the Bread Loaf School of English. Her research and teaching interests focus on community literacy, composition theory and pedagogy, and writing center theories and practices. Her books include Literacy across Communities and A Community Text Arises: A Literate Text and a Literacy Tradition in African American Churches. Carole Clark Papper recently retired from the Department of Writing Studies and Composition at Hofstra University, where she directed the University Writing Center. Previously, she served for many years as the Director of the Ball State University Writing Program (winner of the CCCC Certificate of Excellence for 2006-2007). Her scholarly interests include visual literacy, composition theory and pedagogy, and writing center theories and practices. Keith Walters is Professor of Applied Linguistics at Portland State University, where he teaches sociolinguistics and discourse analysis. Previously, he taught in the Linguistics Department at the University of Texas at Austin and in the English Department at Ohio State. Much of his research has focused on issues of language and identity in Tunisia, where he served as a Peace Corps volunteer, and in the Arab world more broadly. He’s the coauthor of two other textbooks, Everything’s an Argument with Readings and What’s Language Got to Do with It? Michal Brody is a linguist, independent scholar, and lecturer. She was a founding faculty member of the Universidad de Oriente in Yucatán, Mexico, and teaches now at Sonoma State University and San Francisco State University. Her scholarly work centers on language pedagogy and politics in the United States and Mexico. She’s the author (with Keith Walters) of What’s Language Got to Do with It? 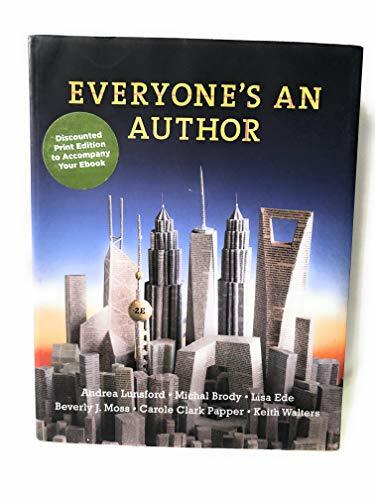 and coauthor (with Richard Bullock and Francine Weinberg) of The Little Seagull Handbook, and the editor of the Everyone’s an Author Tumblr site and They Say / I Blog.